Deciding to build a custom timber frame home is an exciting endeavor that requires a dedicated and experienced team. 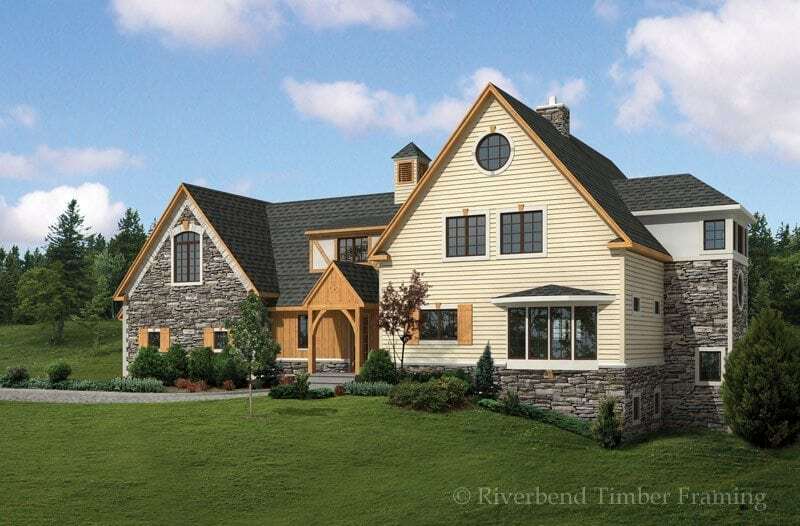 When Riverbend developed our unique Total Home Solution® service, our goal was to create a seamless process for clients from the design phase of their home through completed construction. In order to deliver the level of service our clients deserve, we also had to implement an approach for managing each stage of your project. Your first point of contact is your Client Representative and he will become your project’s advocate until the day you turn the key in your new timber home. Alongside him, you are assigned one of our degreed architects who will be creating your floor plan and bringing your dreams to life. Your project manager is the final member of your team and the one making sure the construction runs smoothly and on time. These team members work to carry out our THS services in a seamless manner. Working together and staying in constant communication, your client rep, designer and project manager form a closely-knit understanding of the unique nature of your project. With this level of interaction, each member also has a basic knowledge about the other teammate’s responsibilities. Instead of striving for separate goals within their fields, everyone fulfills their job with the complete picture in mind. For instance—when your designer is creating the conceptual drawings, they aren’t just thinking about designing an architecturally stunning home, they are also contemplating site location issues and timelines so that the project manager is aware upstream and can plan accordingly. Overseeing our proven beginning-to-end Total Home Solution®, this seamless team approach has each member striving towards the same objective, and that is building you the custom, traditional timber frame home you’ve been waiting for. Working together, they can accomplish more, with fewer issues and tighter timelines.